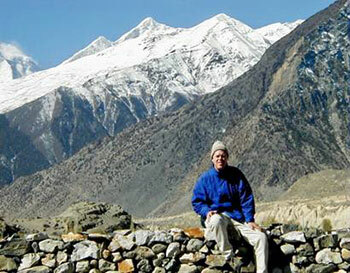 As a teenager, Steve Briggs met his guru at a meditation retreat in the Swiss Alps. After studying English Literature at the University of Arizona on an athletic scholarship, the author received an MBA and a Ph.D. in Vedic Studies, and traveled internationally instructing thousands in the art of meditation. Sent to India by his guru, the author embarked on a seven-year odyssey taking him from Cape Comorin in the south to the high Tibetan plateau. Along the way, he initiated India’s government and corporate leaders into meditation, encountered saints and sadhus, and astrologers and artists. He sipped yak butter tea with lamas at windswept Tibetan monasteries and hiked the paths of Vedic India’s time-honored pilgrimages. As the guest of a Maharaja, Steve shared the fervor of thirty-million pilgrims at the Maha Kumbha Mela, the world’s largest religious festival. The author’s first book, India: Mirror of Truth, A Seven Year Pilgrimage, was a memoir about his time in India. Steve is now working on the second book of The Nirvana Chronicles.